Discussion in 'Downhill & Freeride' started by norbar, May 8, 2012. Has anyone tried Ortema Brace? It seems like it would work nicely with classic body armor without me needing to buy a special one that may not fit me as well as my current one. not sure how good your french is, but in a long-term test they ranked it first against an Alpinestars, Moveo and a KTM brace (which looks like it's made by Leatt). Interestingly, their metrics include comfort, quality, ease of use, ease of maintenance, weight and price, but no mention of safety and effectiveness. Maybe they know that as a magazine, and without proper scientific testing, they can't make useful pronouncements on the issue? The thing is they are moto based. I still need info of how it works with body armor. I have some extra cash and I bet my Alpinestar will sell fast so I can swallow the steep pricepoint but I need to know it will not limit my movement. Emailed them already but I doubt I will get a definitive answer. The thing is the armor with place for a neck or a* brace will not work with ortema so what to get? Can you put out the plates of your back protector? I know this is irreversible, but possible. Which model of body armour do you use? As far as I know every neck brace manufacturer says you should wear the brace whitout armour. This weekend I saw a dude that was wearing an Alpinestar neck brace over the body armour. The back of the brace was way too far out. He had to wear the back end really low because otherwise he would restrict his movement range. It just looked weird. Not sure about the safety effect either. 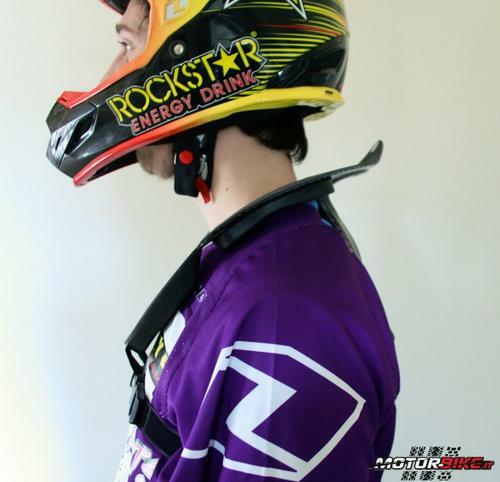 Moveo Neck Brace is designed to be compatible with most back protectors be. It was for a removable foam element created to protect the neck to better fit the usual clothing. If I recall correctly (had and read both manuals, but some time ago), AS and Leatt braces are both able to be used with armor, and both suggest having the brace's back plate directly against your back, while the front can be positioned over the armor's chest plate if required. Used in this manner I found both braces compatible with my armor. Any reason you're considering swapping out the AS norbar? Personally I don't think the Ortema offers as much restriction (and arguably, thus protection) as the AS brace, which in turn is lower than the Leatt units also (although the latest Leatt GPX/DBX 'Pro' carbon braces are almost as low as the AS). I've tried the Ortema briefly and while it's very light and comfortable to wear, I can't see it doing a whole lot. While I'm not qualified to comment on (or even know) how much of Leatt's aggressive marketing is fact and fiction, I did find this diagram helpful in making up my own mind. Alpinestars brace did restrict my movement heavily with my dainese body armor. It also broke my collar bone because it didnt sit properly. It also requires modification to fit a 661 body amor, not sure about my newer but still old alpinestars body armor but since it is very similar to dainese I would be surprised to see it fitting any better. My opinion: Try to get a new safety jacket and keep the Alpinestar. Try to get a Nukeproof or Troy Lee BP where you can remove the padding for the brace. I saw this weekend one dude in the parking lot wearing a TLD BP vest with an Alpinestar brace and it worked really good. It didn't seem like he was wearing chest protection at all. These pieces are really low profile but look pretty solid with protection almost everywhere. Im also thinking about the moveo and the new alpinestars body armor. Both look good. I'm on a Leatt at the moment, but had no complaints about the AS restricting movement when I had one - I used it with a 661 Pro suit and tucked the back plate of the brace inside the hard plastic back of the armor. 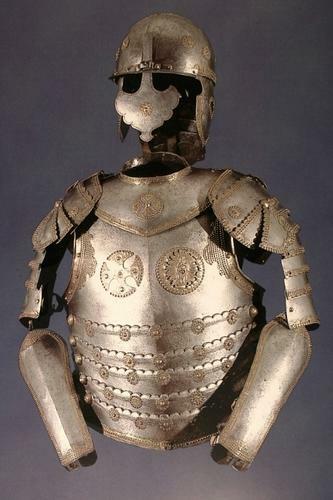 It was recommended that you went up a size in AS brace if you used it with armor due to the increase in chest size. Yes and I did that. In that case it was better but ended up sitting on my collar bone. Still in some cases it made it hard for me to look far ahead. Norbar, I've got a solution for you ;> Forget an armor. Get a nice back protector from 661 or Dainese on suspenders, a set of you beloved POC elbow guards and you're good. Chest armor will not protect your ribs from being cracked or broken, coz this is not what armors are designed for. I crash way more than you so no body armor is a bad idea for me. You got to be kiddin'... no armor, such as Dainese, 661, TLD, whatever will prevent from shoulder dislocation... c'mon "tight straps"!? As far as I remember, you don't have shoulder joints (so?) damaged as I do. Believe me, you don't even need to hit anything to dislocate it ;> In my case sudden h-bar movement can do it, like when your front wheel slips on the wet root. I am not "no armor advocate". When I started riding DH, about 12-13 years ago I bought Dainese armor, which was a great piece of protection equipment then. I've been using armors for nearly 10 years, when I discovered that riding w/o one is so much nicer I don't mean better or saver. how about 100$ neck brace as I've seen mentioned in another thread? Again. You're not crashing nearly as often as I do. Also no, armor protects you from more than bruises and breaking a rib is surpsiginly easy if you decide to fall on something pointy (dh tracks usually have those). Not to mention some cuts can kill your riding for a long time. I've seen my old body armor and it's a testament to the fact that I need one. You sound like me - so wear your armor for sure, I've had some decent crashes and injuries in the past so now I wear it almost all the time. Even though I don't crash so much anymore, it still happens, and it's nice to have on when you do. Can I ask, what helmet do you use, and what your neck length is like? I don't know any measurements but short/average/long? I do know when I use any brace with armor it causes the brace to sit higher (mostly because the front of the brace is pushed up/out, and a little extra height on shoulders too) - do you feel the same restriction without your armor on? If something is causing your helmet-to-brace distance to be shorter than average, perhaps the Ortema will work for you. But if you wear the Ortema and it looks like the picture I posted above, personally I can't see it doing much at all - and I know they are not cheap. POC, previously THE. Avg neck. I'm a pretty small framed guy for my height. As for Ortema they are a sports ortopedic company with some experience so I trust them. Don't know about the photo but they offered my a custom fitted brace to my body armor. The problem is the trip to stuttgart which seems a bit stupid for something as simple. I really like the Moveo and I might have a decent price on it. Need to try it If I ever have a chance to do it.